Legendary punk rock bands The Dickies and The Queers will headline a show in Santa Ana tonight. Tickets to this all-ages show cost $20. The nationally-famous Scrapbook Expo comes to Southern California this week! Admission to this all-ages expo varies in price, starting at $8 for a one-day general admission adult ticket. Sample the local flavors of Leucadia this Thursday evening at the Taste of Leucadia. For $25 presale or $30 on the day of the event, visitors get treated to unlimited food samples from all the participating restaurants. For an additional $15, guests can receive ten beer/wine tastings from select locations. The organizers have provided a shuttle that runs to and from city hall to alleviate the parking situation. Legendary punk rock band T.S.O.L. will headline two shows in West Hollywood this week. Tickets to these shows cost $20 each. No one under 21 may enter. Taking place a week prior to the Toyota Grand Prix of Long Beach, the Formula Drift competition utilizes the sharpest turns of the track to put on a show that everyone can enjoy. Feel the excitement as drivers throw on their best drifting performance while narrowly dodging massive wipeouts. Guests may also visit a vendor village, receive autographs from drivers, see the pits up close and personal, and more. Tickets vary in price, but general admission to the Saturday main event costs $40 plus fees up to $10. Parking at the convention center costs $10, so plan to carpool, take public transportation, or park in the neighborhood to the east to alleviate that parking fee. Basically, a music & art festival that spans an entire weekend, similar to Coachella. This event runs nonstop from Friday morning through Monday morning. Lucidity requires many words to explain, which the website does a great job of. With dozens of stages, hundreds of vendors & artists, and endless activities, visitors will never run out of things to do here. Check out dozens of vendors selling collectibles, jewelry, art, furniture, glassware, and more at this street fair this Saturday. Free to attend for all ages, guests will find many rare merchandise from local businesses and home vendors. Guests can dine at any of the local establishments, which will remain open under their normal business hours. Guests can park for free on the street in adjacent neighborhoods. Enjoy hundreds of art displays, cars, and live music this weekend at the San Diego Botanic Garden in Encinitas. Admission costs $14, with discounts available for seniors, military, students, and children. Check out dozens of vendors selling vintage apparel and accessories this Saturday in Downtown Los Angeles. Regular admission costs $12 and starts at 12pm, while early entry for 10am costs $20. This renaissance faire will run from this Saturday through May 21st this year. Admission costs $29 for adults or $15 for children. A small Pacific Islander event will take place in Carson this Saturday afternoon. Admission costs $30 and includes lunch. If you have gone to Artisanal LA, this will feel very familiar. Check out this event in Los Angeles this weekend filled with dozens of vendors selling and/or sampling various food & beverage products. The event will also have speakers, demos, activities, and miscellaneous vendors. Admission starts at $10. Attendees can find free street parking in the nearby neighborhoods. Looking to get your beer on this weekend? Head to the San Diego CityBeat Festival of Beers, where guests receive UNLIMITED pours from over 50 breweries plus the souvenir taster cup. Guests may purchase food at an additional cost. General admission costs $45 and starts at 1pm, while VIP admission costs $55 and starts at 12pm. No one under 21 may enter. Check out over a hundred Halloween and horror themed vendors in La Mirada this Saturday, free to attend for all ages. Free to attend for all ages, this event revolves around anime, video games, and cosplay. Visitors can expect to find artists, merchandise, live entertainment, cosplay contests, video game booths, a maid café, and more. Everyone’s favorite drunk fest returns to Los Angeles this Saturday. This festival allows attendees to drink unlimited beers while enjoying live music from local bands. Food trucks will sell their delicious foods to hungry guests. Tickets cost $40, but does not include parking. No one under 21 may attend. From the ensorcelling minds behind OC Brew Ha Ha comes a Spring version of Orange County’s biggest beer festival – a beer & taco festival rebooted. A lot has changed since last year. Admission still provides includes unlimited beer tasters, a souvenir glass, live entertainment, games, a cigar lounge, and more. All tacos will still cost $3 each, so prepare to carry cash, preferably singles. This big festival outgrew its previous home and has moved to Doheny State Beach in Dana Point for this year. In addition, this event now features a music component similar to their previous Cali Uncorked and Ye Scallywag festivals. Live bands will perform throughout the day, and all drinks after 4pm come at cost. No one under 21 may attend. Redondo Beach’s King Harbor Brewing turns four years old this week, and to celebrate, they will hold a beer tasting event this Saturday at their tasting room. General admission costs $45 and comes with a souvenir glass and unlimited beer pours while supplies last. No one under 21 may attend. Ever participate in a flash mob? No, not the kind of flash mob where everyone breaks out in dance. I speak of the infamous pillow fight flash mob. On April 1st, communities around the world will gather to unleash a fray feather-fueled frenzy on unsuspecting combatants. Due to the unorganized nature of a flash mob, no one can control what occurs, so anyone can join in, yet anything goes. Note that most locations take place in dense areas, so prepare to pay for parking. Check the website for confirmed locations throughout the world. Bootlegger’s Brewery celebrates their tenth year in business this month, and they will hold a beer festival as they have in the past. Admission costs $50 and gets you unlimited beer pours for the duration of the event while supplies last. No one under 21 may attend. Buy, sell, or trade anything related to sand sports or offroading this Sunday morning. Admission costs $5 presale or $10 at the door, and grants access to all available vendors. 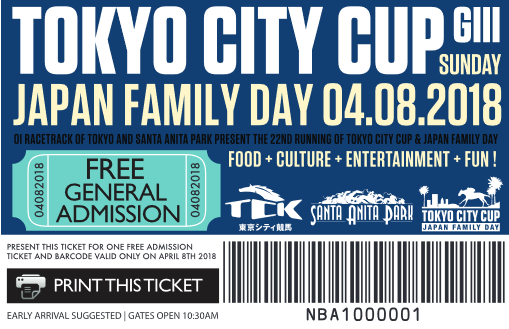 A day of horse racing and Japanese culture comes to Santa Anita Park this Sunday afternoon. Visitors will find races, food, arts & crafts, games, entertainment, vendors, and more at this event. Adult admission costs $5, but the website has a printable coupon good for free admission. Children may enter for free with adults. A beer tasting event comes to Chino this Sunday afternoon. General admission costs $35 and starts at 1pm, while VIP admission costs $45 and starts at 12pm. All attendees receive 15 4oz beer tasters. Bring cash for food if you intend to eat there. No one under 21 may attend. Beautiful California: a state unlike any other. From the luscious weather to the so-called California Girls, California almost represents a unique country of its own. As one of the major metropolitan states of this nation, California has one of the largest populations of virtually all demographics, but especially young adults. As society can guess, young adults sure love their hard beverages, and California has no shortage of festivals featuring hard beverages. Practically every week of the year, a festival occurs that features either craft beer, wine, or cocktails/spirits. When adults think festivals that include alcohol, they immediately think about what other activities and forms of entertainment to expect at the events. The days of simple tasting events have long gone by the wayside, and now people expect to find more than just drinking at such festivals. Typical events may include some games or live music, plus some some of food either included with admission or at a separate cost. The more these events feature, the more they feel like they bit off more than they could chew. Some events promise everything yet deliver underwhelming content, while some events promise the best of a few specialties and deliver all they can to satiate the attendees, such as at the 2nd Annual Driftwood Festival. The Driftwood Festival returned for its second year running this past Saturday. Taking place at Doheny State Beach in Dana Point, this festival combines craft beer, drinks, food, and country music all in one location. With over a hundred different beers and other beverages to sip on, attendees had a plethora of options to get their buzz on. With so much to do in so little time, one would expect to try to rush around to see everything before the event ended. The beer stopped pouring at 4pm, while the entertainment continued onward until 10pm. While it would appear that this would draw in two different types of crowds, every attendee appeared to appreciate everything this festival had to offer. Driftwood represents the ideal country music fan festival, complete with the music, barbecue food, and craft drinks. The venue’s location did mean that travelers would have to plan to pay to park near here, or at least take the shuttle, as the festival this time charged attendees to take the shuttle to a higher-capacity parking area. Although I did not attend the previous year’s festival, I knew that the organizers behind this event teamed up with the organizers behind OC Brew Ha Ha. As such, they handled the festival operations quite well as they always do with their events. Speaking of which, the annual OC Brew Ho Ho returns in less than a month from now, so if you like good beer and appreciate a well-organized event, you owe it to yourself and your friends to check out that event when it rolls into town in December each year. Jam out to video game inspired music this Tuesday night in Los Angeles. The cover for this show costs $10 before 8pm or $15 afterwards. Anyone ages 18-20 must pay an additional $5 to enter. No one under 21 may enter. Ska-punk band Big D & The Kids Table currently tour across the country, and that tour will swing through Southern California this week. Ticket prices and age minimums to these shows vary by location, so check with the venue for information. Get your weekly dose of punk rock this Thursday night in Anaheim. The cover for this show costs $10. No one under 21 may enter. A special Final Fantasy themed escape game comes to Downtown LA this weekend. Unlike the organizer’s other events that only take one team at a time, this escape game will involve multiple teams in the same room all trying to escape. Registration for a game costs $41 per person, and they will have multiple sessions taking place throughout the weekend. Sample over a hundred different beers and sake this Friday night at Harrah’s out in northeast San Diego county. General admission costs $60, while VIP admission costs $80 and includes VIP seating, exclusive tastings, and an event t-shirt. No one under 21 may attend. Westminster’s Little Saigon gets into the night market action this weekend. Free to attend for all ages, visitors can expect to find tons of food, treats, drinks, vendors, games, toys, entertainment, and more. A dog walk and pet fair comes to Mission Viejo this Saturday morning. The dog walk starts at 7am and costs $25 online or $30 at the gate to register for the walk. A pet fair starts at 8am, costs nothing to attend, and includes many pet vendors and activities. A 5k run/walk combines with donuts, pastries, and other desserts this Saturday morning in Long Beach. Registration costs $50 for adults, $33 for teenagers, or $18 for children. Enjoy a FREE and all-ages car show this Saturday afternoon in Whittier. More of a meetup than an actual con, fans of cosplay, anime, manga, video games, comics, and other fandom will meet on the beach this Saturday. Basically a large meetup/picnic, this free and all-ages gathering will have food, drinks, games, and more. Gorge out on sweet treats in Downtown LA this Saturday afternoon. $15 gets you in to one of four 90-minute sessions, but you still have to pay for everything once you enter. Some of the vendors will have free samples though, but expect to carry cash if you want more than just samples. Come act merry and get drunk with other rich people at this fancy summer party this Saturday in Newport Beach. General admission costs $30 while VIP admission costs $55. Pay the admission, and you too can come get drunk and party with strangers that like to flaunt their status. Drown yourself in taco heaven at this all-you-can-eat taco fest this Saturday in Downtown Los Angeles, featuring over 80 different chefs. Attendees will also find Mariachi bands and cash bars. General admission costs $50 and includes unlimited food while supplies last. All drinks come at separate cost, so bring cash for drinks. Get your skanking on this Saturday night in Los Angeles. The cover for this all-ages show costs $30. Rock out to some local punk rock bands this Saturday night in Laguna Niguel. The cover for this show costs $15. No one under 21 may enter. MacLeod Ale Brewing turns three years old this weekend, and to celebrate, they will have a cask beer tasting event at their tasting room in Van Nuys this Sunday. Expect to encounter a handful of other breweries sampling their cask beers as well as this event. Admission comes in three levels. General admission starts at 1pm, and comes with five drink tickets for $20 or ten drink tickets for $35. VIP admission costs $50, starts at 12pm, and comes with unlimited beer pours for the duration of the event. No one under 21 may attend. This Tuesday, Inland Empire Brewing will release their coveted barrel-aged ale. Stop on by and enjoy it at the tasting room, or buy bottles to-go. Stroll through historic Ocean Beach and sample food from the local restaurants this Wednesday evening. $25 allows you to sample all the food you can eat from participating businesses while supplies last. Enjoy a FREE local punk rock show this Tuesday night in Long Beach. No one under 21 may enter. Sip on fancy cocktails this Thursday night in Costa Mesa. General admission costs $75 and starts at 7pm, while VIP admission costs $100 and starts at 6pm. All attendees receive unlimited food and drinks for the duration of the event while supplies last. No one under 21 may attend. Immerse yourself in Eastern culture at this expo for all things Asian this weekend at the Pasadena Convention Center. 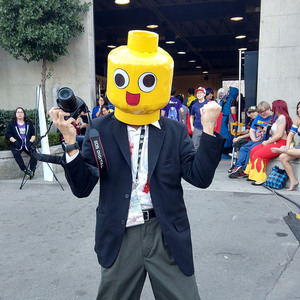 At this all-ages expo, attendees will encounter art, music, dance, entertainment, cosplay, fashion, anime, manga, comics, video games, merchandise, accessories, food, drinks, treats, and much more. Adult admission costs $40 for Saturday, $30 for Friday or Sunday, or $65 for the entire weekend. Children 6-12 enter for $30, while children 5 & under enter for free with paid adult admission. El Segundo Brewing will release a fresh IPA this Friday. Stop on by their tasting room and enjoy it there, or buy some bottles to-go. Music, burlesque, and booze all collide in one event this weekend in Long Beach. Admission ranges from $15 to $50 – check the website for prices and what each price gets you. No one under 21 may attend. Enjoy a local rock show this Friday night in Laguna Niguel. The cover for this show costs $10. No one under 21 may enter. Long Beach has its own version of a ciclovia where the city officials closes a portion of the city to vehicular traffic to allow pedestrians and bicyclists to freely roam the streets. This Saturday, that will occur down Anaheim Street from Pacific Coast Highway through MacArthur Park. Plan your commute accordingly. Admission to this homebrewing event costs $38, and includes a one-year membership to the American Homebrewers Association, unlimited tastings of this year’s homebrew entries, a souvenir glass, and raffle drawings. In honor of Veteran’s Day, drink lots of beer in Anaheim this Saturday afternoon. This beer festival allows you to sample unlimited beers while supplies last, as well as check out a handful of military-themed vendors, selling apparel, accessories, and more. General admission costs $55 and starts at 1pm, while VIP admission costs $75 and starts at 11:30am. Bring cash for food, and dress for warm weather. No one under 21 may attend. The organizers behind Orange County Brew Ha Ha bring to you this new festival unlike anything ever before. This festival combines craft beer, wine, food, the beach, and country music all in one location. With over a hundred different beers and wines to sip on, you will not run out of different things to try here. Admission ranges from $49 to $249 – see the website for a breakdown of the prices and what they get you. All guests receive unlimited beer and wine tasters while supplies last. Food comes at cost, so guests should bring extra cash for food here. No one under 21 may attend. Packinghouse Brewing turns six years old this week, and to celebrate, they will have a free celebration at their tasting room in Riverside this Saturday. Throughout the day, Packinghouse will have live music, special beer releases, and mobile food vendors. Movember participants, listen up! Show off your wicked facial hair at this competition for all things hairy this Friday night in Huntington Beach, featuring a handful of categories to enter into to win cash prizes. In addition to the fabulous styles, visitors will find food, a full bar, live music, vendors, and more. Registration costs $15, while spectators may enter for $5. A free and all-ages local ska show will take place in Anaheim Hills this Saturday night. The owner of Pomona’s Characters Sports Bar will celebrate his birthday this week with some local punk rock Saturday night. The cover for this show costs $13. No one under 21 may enter. Guests can find plenty of free street parking in the area and can avoid paying to park in the adjacent lot. A vegan vegetarian festival comes to Hollywood this Sunday afternoon, complete with food, seminars, a kids area, live music, fitness activities, and more. General admission costs $30 and grants generic access to the event space. VIP admission costs $50 and provides a goodie bag, a drink ticket, and access to VIP areas. Children under 10 enter for free with a paid adult admission. $55 presale or $70 at the door nets you all-you-can-eat admission to this 5-hour Japanese food fest and a goodie bag. Guests will chow down on sushi, ramen, soba noodles, beef bowls, and more, while adults can sip sake, beer, shochu, wine, and more (alcohol not included with admission). During this time, a number of chefs will showcase cooking demos. The parking lot across the street normally costs $5 to park, but sometimes this price changes, so have cash ready. Sample the best in island cuisine at this tasting event this Sunday afternoon in Irvine. Over 20 different chefs/restaurants will attend to serve food samples to attendees, while local chefs will compete in a poke competition, allowing attendees to sample their food too. Tickets to this all-ages tasting event cost $75, which includes unlimited food samples while supplies last. All attendees must take care of their own parking and transportation. Wild Goose Tavern turns four years old this weekend, and to celebrate, they will have a party at their place in Costa Mesa this Sunday. During the first hour, guests will receive complimentary appetizers. Throughout the night, they will have a silent auction, raffles, merchandise for sale, and more. A portion of food sales will go towards a charity too. This event has no cover charge – simply show up and have a good time. Enjoy food and wine this Sunday evening in Santa Monica. Admission costs $125 presale or $150 at the door, and provides unlimited samples while supplies last. The venue contains plenty of free parking. No one under 21 may attend. Legendary punk rock band Choking Victim will reunite for a rare show this Sunday night in Anaheim. Tickets to this all-ages show cost $20. Arrive early to park at the venue’s parking lot for free. Arrive too late, and end up parking in a lot down the street for $10 per vehicle. Coincidentally landing at the end of American Craft Beer Week, Hangar 24 Brewery celebrated their 6th anniversary with a two-day AirFest and beer festival at Redlands Airport this past weekend. This anniversary celebration took place just across the street from the Hangar 24 tasting room, allowing guests to roam much of the airport grounds to view all the airplanes on exhibit, and check out all the food and beer available. All around the festival area, all of the attractions evenly spread out, from the food vendors to the beer tents to the airplanes on display and more. Throughout the day, live music would occur on the main stage, and various aerial acrobatics would occur overhead, demonstrating cool stunts performed in airplanes. New this year (or not marketed much last year), AirFest lasted two days, starting on Friday afternoon, and running for most of the day Saturday. Naturally, admission for Saturday cost more than Friday. This year, I attended on the Friday of the celebration; however, I could tell that most of the fun would occur on Saturday. Some of the main attractions that occurred on Saturday for AirFest included the 30+ varieties of beer that they advertised, more varieties of aerial acrobatics, a fireworks show at night, longer hours, and more well-known music acts. On Friday, we only got ten varieties of beer, and besides the anniversary beer, anyone could obtain any of these beers at any time at the tasting room. Although I enjoyed the air shows, they started to get stale halfway through the runs. The night also did not feature any illuminating acts – just a staged airplane stunt. The beers also stopped way earlier than I recall, as beers kept going until after 9pm last year. Everclear also headlined the music on Saturday, whereas JT Hodges headlined the music on Friday. Lastly, Friday just did not have that many people there. Last year, the festival contained tons of people everywhere. Friday felt dead, as if Hangar 24 did not advertise the Friday event. At least Hangar 24 stepped it up with the food and merchandise vendors, now adding 400% more vendors than last year. As far as the music went, Friday mainly revolved around country music. Country bands like Redneck Rodeo and HER played that beer-drinking music that everyone loves. Aerial stunts took place throughout the day, giving everyone a reason to not slouch and look up. These pilots always amaze everyone viewing, and serve as great interruptions to groups of people. After a few hours though, most of the stunts start to look the same. Allegedly, Saturday’s stunts featured a lot more danger and variety. Once all that ended, we got to see some parachuters, and one of them deployed a flag during the national anthem playing on the ground floor. Some more aerial acrobatics occurred while waiting for the next music act to set up. Country singer JT Hodges headlined the night with two sets. His sets contained a mix of his own original songs and cover songs. While he performed, little activity occurred elsewhere around the festival, as he captured the attention of nearly everyone present. As I suggested to everyone I encountered, the sunset out here looks beautiful, and everyone should always seek to capture a great photo of this moment. Between JT Hodges’ two sets, one final air show took place. Unfortunately, the fireworks show only occurred on Saturday. I remember having the time of my life at last year’s AirFest. This time, my choice of attending on Friday may have soured my perception of this event, though I cannot say the same for anyone else that attended on Friday only. Perhaps the lack of true content compared to a previous year may have lowered my perception. Perhaps last year’s event went so well that it spoiled me from future events. Since the weekend, I have heard mixed reviews of this and last year’s AirFest. As best as I can say, just like the president, you cannot please everyone. Just do the best you can to inflict the greatest good for the greatest amount of people. Hangar 24 always does their best, but I think at least for the Friday event, it should wither away and leave everything to Saturday. Las Vegas – The Entertainment Capital of the World. By large a tourist attraction, Las Vegas sees millions of tourists annually. Of all the visitors, what can you expect them to answer as the reason to going to Las Vegas? Clubs? Casinos? Dining? Shows? Marriage? Whatever the reason, travelers often only conceive these main reasons for going. They often lose sight of the less frequent reasons for visiting Las Vegas. Has anyone considered shopping? How about looking around the outskirts of The Strip? Ever consider rock-climbing? Or do you want to check out a music show? I do not refer to the grand shows, like Cirque du Soleil, but the smaller, more intimate music shows. Many people do not consider Las Vegas for doing things small, but when it happens, of course it happens right. Even a small, niche music genre, like punk rock, has found a few places to call home in Sin City. In the case of punk rock, it lives on at the Las Vegas Country Saloon. At the Las Vegas Country Saloon on Fremont Street in Downtown Las Vegas, the entrance tells the story of two separate event spaces. Initially, the entrance places guests in the bar & lounge area, typically with a live DJ spinning the newest beats. Beyond a door to the side lies the LVCS music hall, complete with a bar, tables, open space, and the stage. Set up similarly to House of Blues, when no act occupies the stage, tables fill the room for guests to enjoy food & drinks. Show acts here vary in genre, from rap to pop to jazz and more. Invariably, LVCS features a punk rock show monthly, often with local bands as openers to headliners. Some previous headliners include Lower Class Brats and D.I., while some future shows include Angry Samoans and Jodie Foster’s Army (JFA). Although located in Downtown, LVCS follows standard bar procedures. During special events, no one under 21 may enter. Guests also have to find their own parking – nearby parking structures charge according to the structure owner, but a few streets down enforce street parking meters only until 8pm. Most shows cost a reasonable price, regardless of the headliner. Expect to get in on the day of the show for under $20 for most shows. They even allow reentry as long as you leave the wristband on you. For a venue in Las Vegas, they have the power to charge exorbitant prices to guests and enforce stricter rules, like a dress code. But for remaining lenient on rules and prices as they do, LVCS shines as a venue worth visiting as often as possible. The next time you visit Las Vegas, check out a show or two at the Las Vegas Country Saloon. The American Wake is an Irish Rock band from Long Beach and Orange County. If you have heard any song from Flogging Molly or The Pogues, then you will know exactly what The American Wake sounds like. The American Wake also has some country and punk rock influences, covering songs like The Devil Went Down to Georgia and Add It Up. For as many original songs as they have, The American Wake will cover songs at their shows, including songs you would not expect like Billie Jean and Livin’ On A Prayer. Most of their covers are faster versions, such as when they play Come On Eileen or Little Lion Man. The American Wake currently plays at three core locations: Auld Dubliner Long Beach, Gallagher’s Huntington Beach (usually $5 cover), and Silky Sullivans Fountain Valley. Their sets are usually 45 minutes starting at 10pm, 11pm, and 12am. Sets are typically ended with their song “Oh My Guinness!” and their famous Shot Glass of Guinness game. During this song, lead singer Eric Ree calls out to the audience for anyone with a (near) full pint of Guinness to come up to the stage for a chugging contest. There is no actual prize, only pride on the line. Recently, The American Wake has been following “Oh My Guinness!” with covers of The Violent Femmes, either Kiss Off, Add It Up, or Blister In The Sun. To find out where The American Wake will be playing next, like them on Facebook! I promise you a fun time with your friends.